SICHUAN PEPPER Husk of seeds. 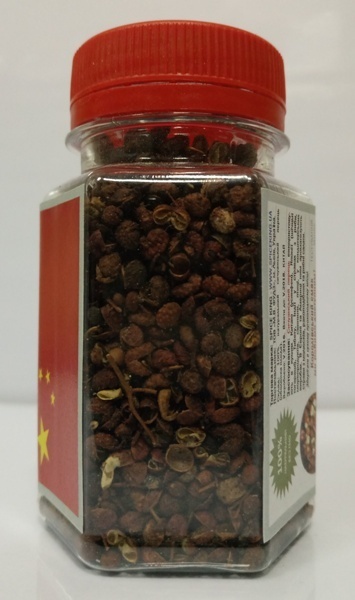 Ingredients: 100% natural Sichuan Pepper (husk of seeds). 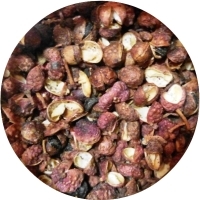 How To Use: Sichuan Pepper or Chinese/Japanese Pepper is used in cuisines of China (Wŭxiāngfěn ‘5-spices’ blend), Japan (Shichimi togarashi ‘7-spices’ blend), Tibet, India in fish dishes, seafood, pork, poultry, pastries. In Europe and America it is used to flavor shellfish, crustaceans and fish salads. 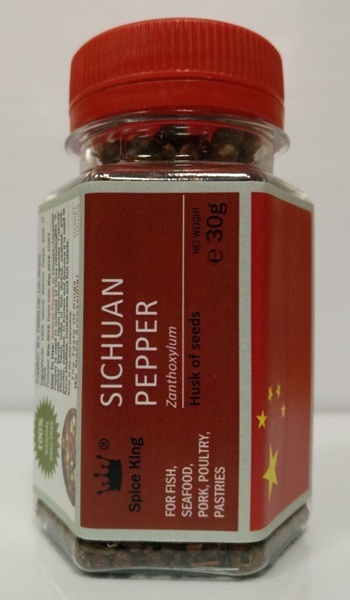 30 g net weight (100ml PET jar) - USD 2.20 (USD 73.34/kg).